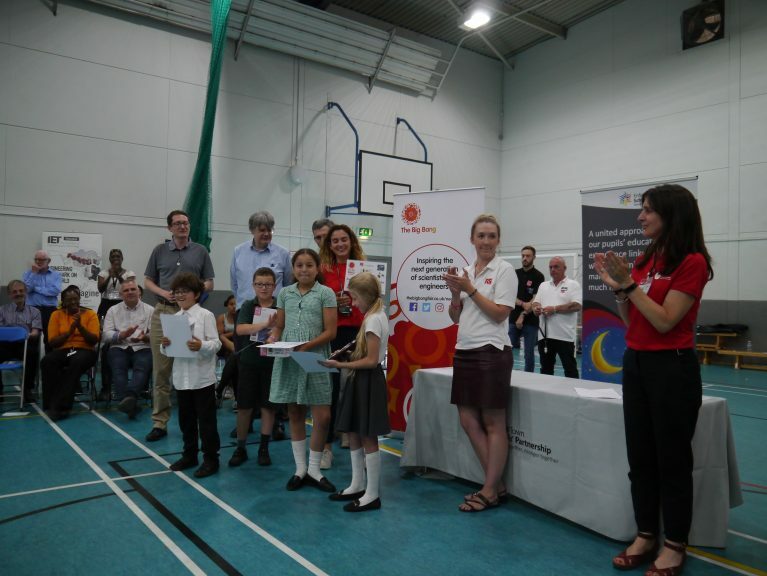 On Tuesday 10th July, 14 primary schools from Enfield came to Chace to participate in the Big Bang Fair. 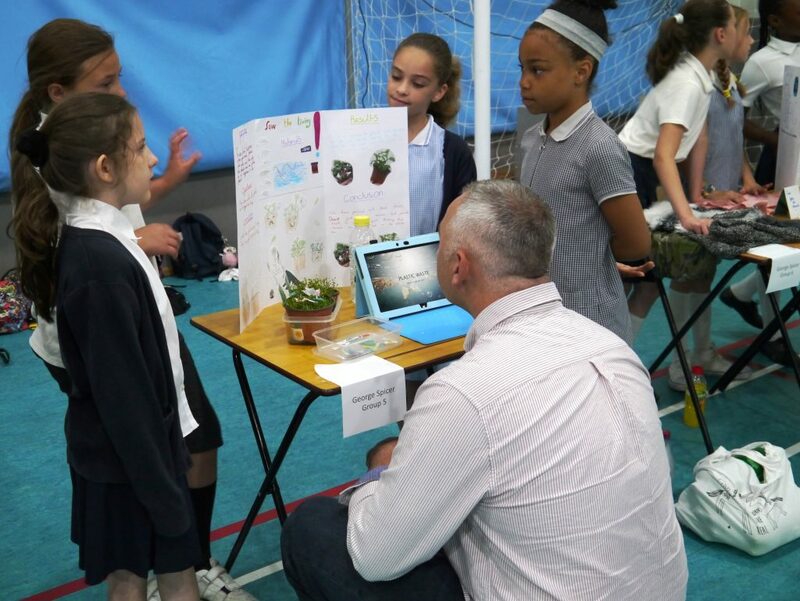 The primary students have been working on science projects and presented their science projects to real life scientists who came to support the event. The scientists went around, looked at the projects, asked questions and listened to the science that the students have been learning and investigating. 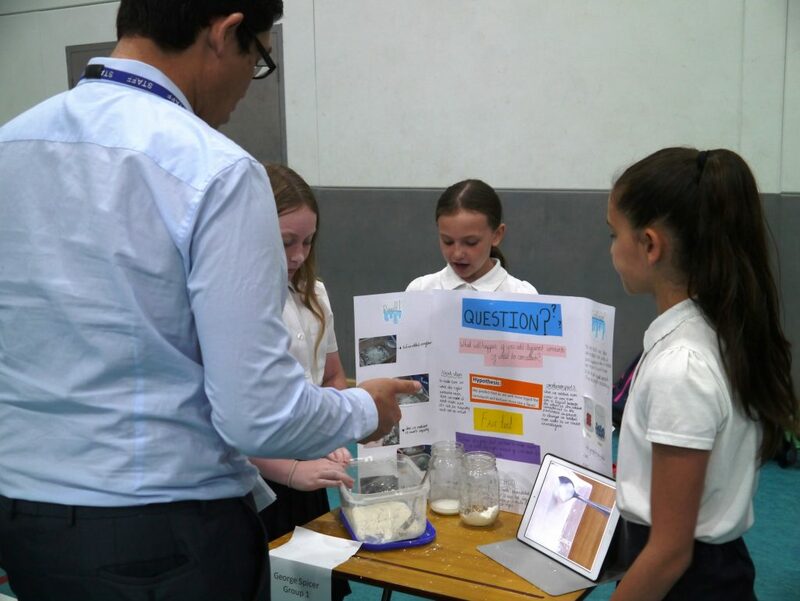 The projects covered everything from how to make dirty water clean, volcanoes, density of materials and how the shape of a boat can affect how quickly it sinks. 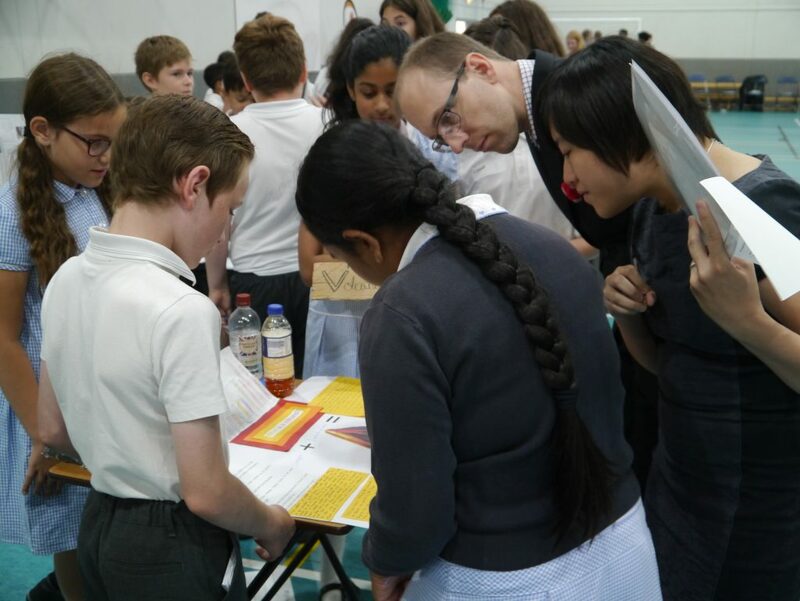 The primary students had a question and answer session with the scientists where they learnt about the different paths into science and the many different jobs that you can do with science. The primary students made bath bombs, investigated acids and alkalis, made slime and looked at their own cheek cells under the microscope in the Science labs at Chace. We also has a visit from the Titan II Truck run by RS Components, the truck is worth over one million pounds and is 35 tons. Both the primary students and students at Chace were able to go on the Titan II Truck. 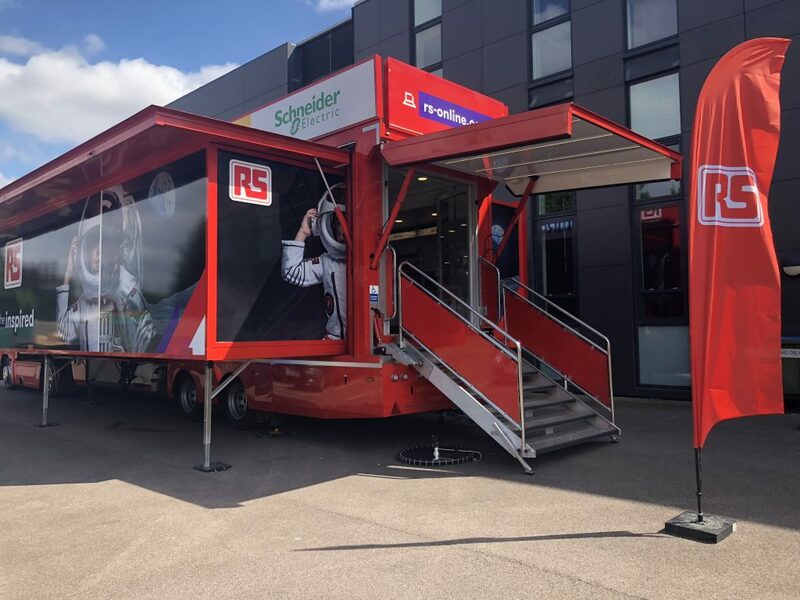 On the Truck they experienced two different virtual reality video games, learnt about how 3D printers work and can be used to make prosthetic limbs and found out how augmented reality is used to make apps such as Pokemon go! The also heard about different British inventors who are doing amazing things with STEM right now. 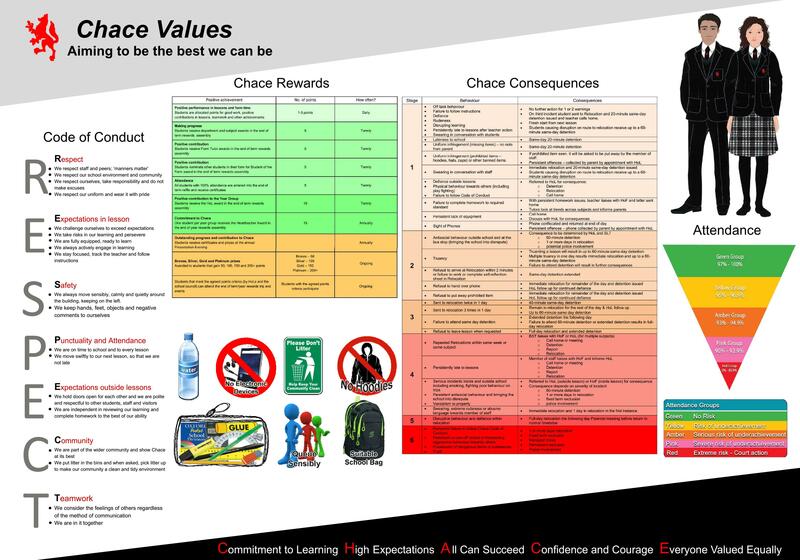 The primary students were taken around Chace by a team of 30 Year 9 STEM Ambassadors who answered their questions about life at ‘big’ school, supported them with their experiment and helped them find their way around the school. The primary students and their teachers were very impressed by our students and said that they day wouldn’t have been such a success without them. 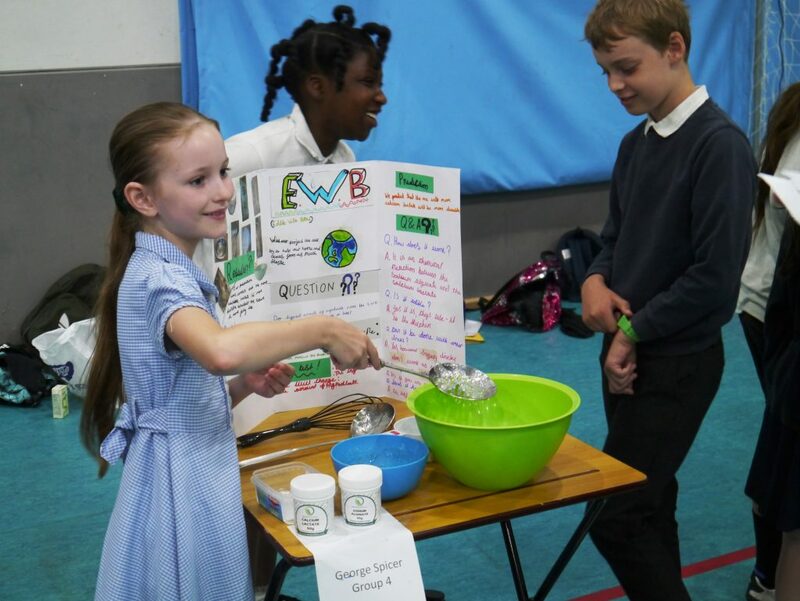 The Big Bang Fair at Chace was a huge success and engaged everyone in a range of STEM activities.